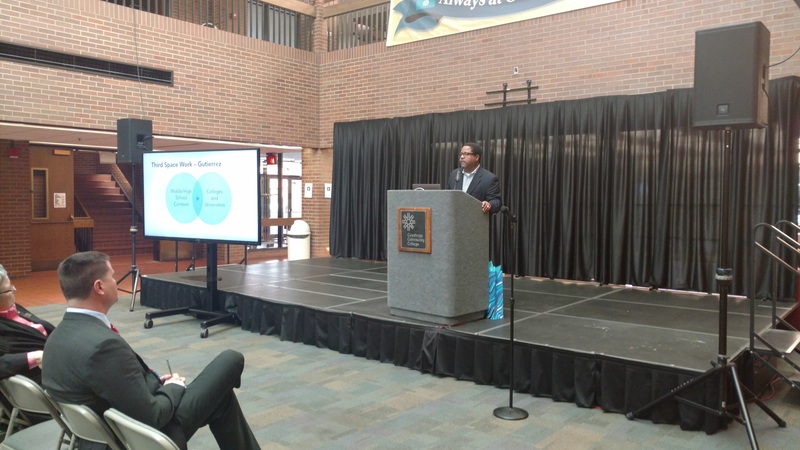 More than 180 participants gathered at the Western Campus of Cuyahoga Community College Oct. 27, 2017 to discuss issues surrounding students who live in poverty. 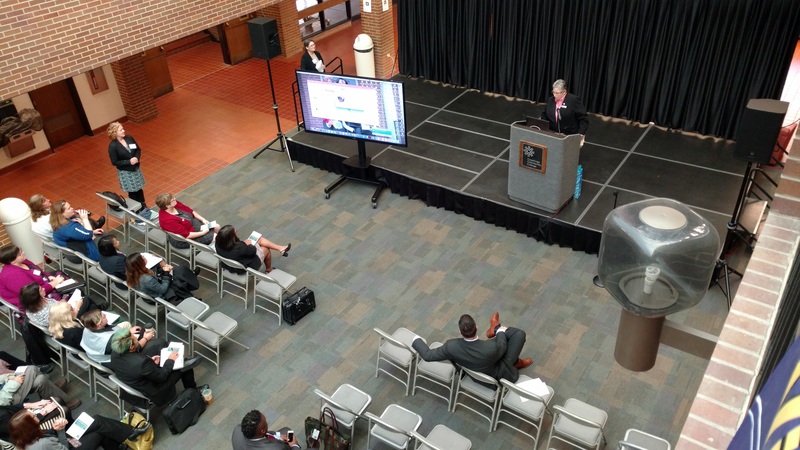 The occasion was the inaugural conference, Confronting Poverty Among College Students, hosted by the College’s Institute for Poverty and Urban Education. Keynote speaker H. Richard Milner, Ph.D., kicked off the day with an insightful and interactive presentation regarding poverty among students. 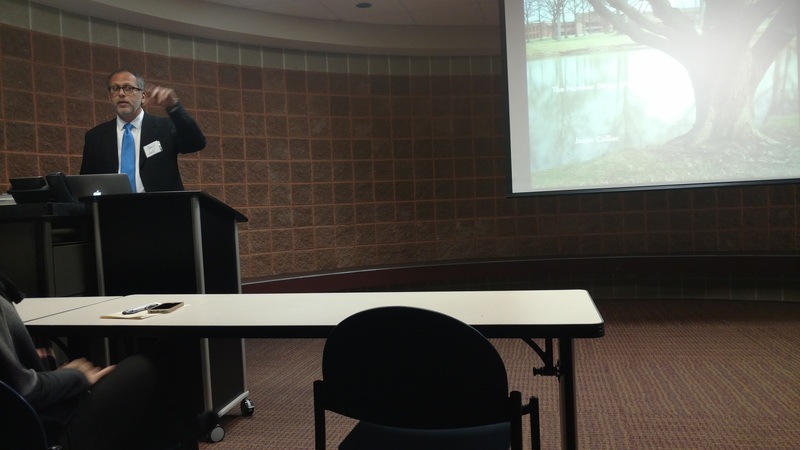 He explored how people define race, how people define class and the debilitating effects of trauma. Milner is the Helen Faison Endowed Chair of Urban Education and director of the Center for Urban Education at the University of Pittsburgh. Following the keynote presentation, faculty and staff presented breakout sessions on poverty, inequality and special populations like veterans. The morning concluded with a final session on how to build social capital and empower students. The Institute for Poverty and Urban Education was formed it 2017 to research and implement efforts to help under-resourced students improve their economic outcomes. Julia Krevans, Ph.D., associate professor of psychology at the Western Campus, serves as director of the institute. 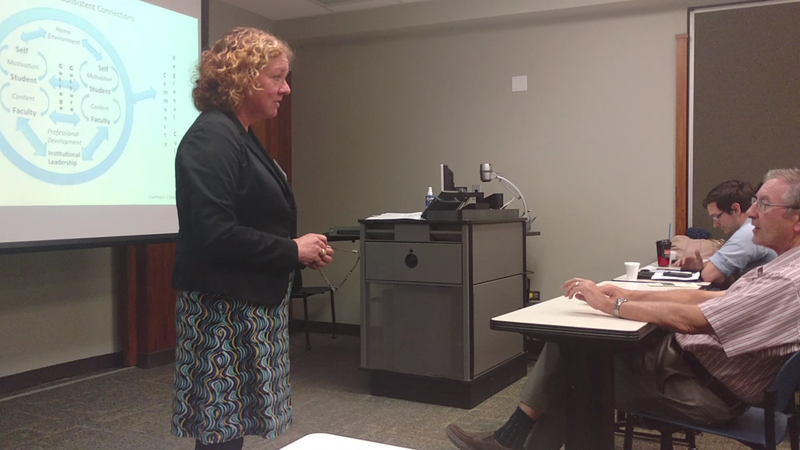 Susan Lohwater, Ph.D., associate professor of English as a Second Language, was director of the conference.